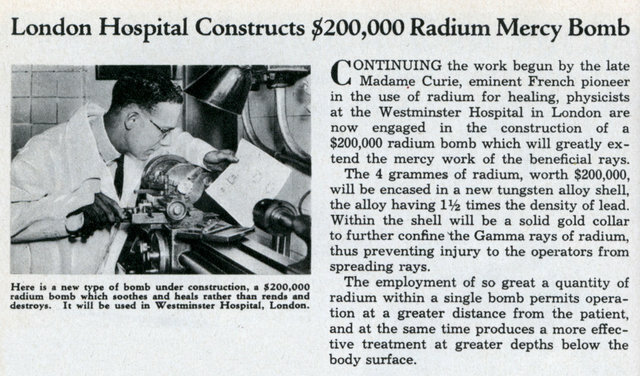 CONTINUING the work begun by the late Madame Curie, eminent French pioneer in the use of radium for healing, physicists at the Westminster Hospital in London are now engaged in the construction of a $200,000 radium bomb which will greatly extend the mercy work of the beneficial rays. The 4 grammes of radium, worth $200,000, will be encased in a new tungsten alloy shell, the alloy having 1-1/2 times the density of lead. 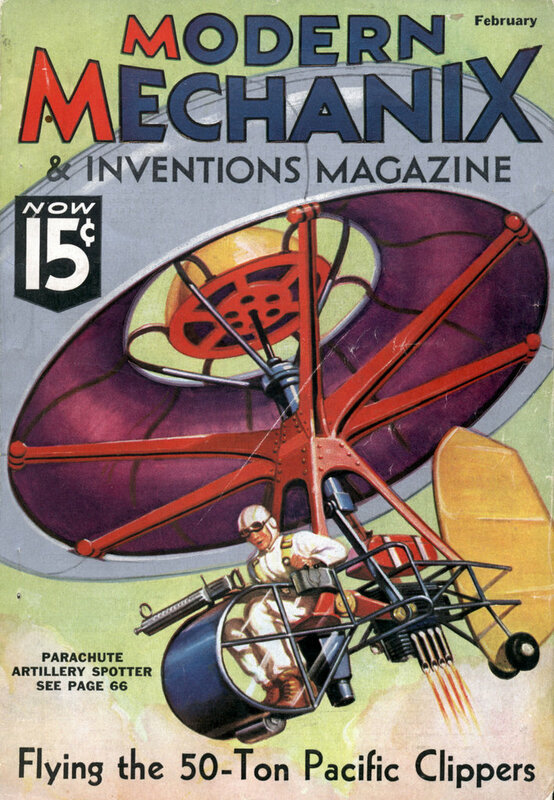 Within the shell will be a solid gold collar to further confine the Gamma rays of radium, thus preventing injury to the operators from spreading rays. The employment of so great a quantity of radium within a single bomb permits operation at a greater distance from the patient, and at the same time produces a more effective treatment at greater depths below the body surface.